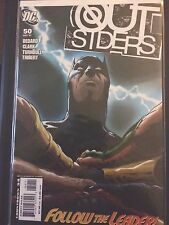 OUTSIDERS 50......VF/NM.....3rd Series ....2007....Final Issue....Bargain! New ListingOutsiders: Five of a Kind #1: Katana/Shazam! Oct 2007. DC. VF/NM.